JYOTI WEIGHING SYSTEMS PVT. LTD.
Jyoti has become one of the leading weighbridges specialists through a consistent programme of incorporating the latest technology and techniques into the installation of weighbridge. Making them economical, to begin and economical to maintain. "Precision joined hand with FAIRBANKS USA in 1982".. to take weighing technology upto the highest international standards. Jyoti is today acknowledged to be one of the best in the field with a range of equipment that meet virtually every requirement upto 200 Tons Capacity. Jyoti is committed to the efficiency of all the equipment it provides to its clients. Each weighbridge is built to last with a rugged design, robust weight sensors and high quality manufacturing. Electronic Weighbridges : Suitable for installation on surface without the necessity of expensive foundation manufactured upto 150 Tons Capacity. 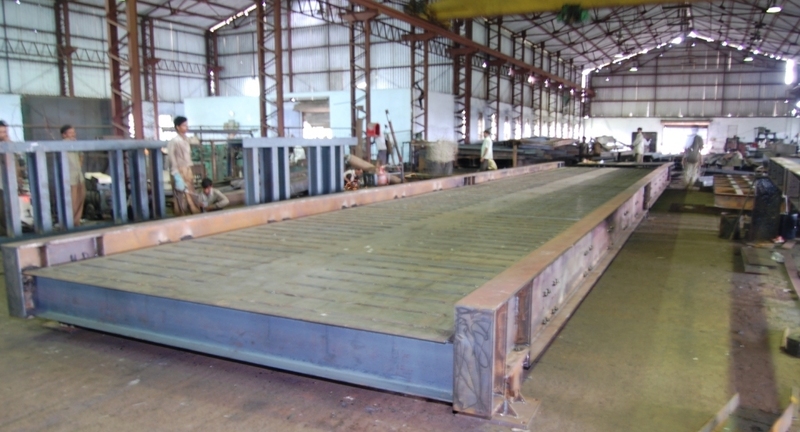 Mobile weighbridges are provided with steel ramps, for fast installation and immediate use. Ideally suited for temporary sites. Available upto 100 Tons Capacity. Suitable for installation at sites with constraints of space, requires construction of civil work for Pit. Available upto 120 Tons capacity. Images of vehicles at the time of weighment and transmitting the same to control computer system for effective control of weighment process. It process weighment data with integrated printers to be operated with 9 V battery, can also be operated on Solar Power. For installation along with existing weighbridges for increasing length of platform for weighing long Lorries. For use by overloaded checking agencies, can be carried in staff vehicles.